Home > Android > What is Facebook Home, and how to get it On Nearly Any Android Device? What is Facebook Home, and how to get it On Nearly Any Android Device? Mark Zuckerberg is evidently on a mission to walk with a man’s daily motion. And Facebook Home for Android is his biggest weapon to conquer. A huge amount of anticipation was felt when the news of Facebook Home leaked. And on its launch a huge crowd suffering from Facebook Fever wanted to embed it into their respective smartphones. But little did they know then that Facebook Home is only for some selected devices like HTC One X , HTC One X+, Samsung Galaxy S III and Samsung Galaxy Note II. Nevertheless Tech Entice is also on a mission and that is to turn its reader’s frown upside down. We have come up with ways to install Facebook Home in any Android Phone apart from the selected smartphones chosen by Facebook Home itself. Let us begin with what Facebook Home actually is and whether or not it’s worth being installed. Facebook Home is a user interface layer developed by Facebook for Android supporting smartphones which is a drop-in replacement to the home screen of the Android phones. This particular software enables a smartphone user to easily view posts from his friends, the recent updates, news feeds etc directly on their homepage. It also includes a replacement lock screen which shows notifications and an overlay to enable chat and private messages. Although the features sound promising and exciting, the major drawback that walks by its side is that only a very few Android phones support this software. 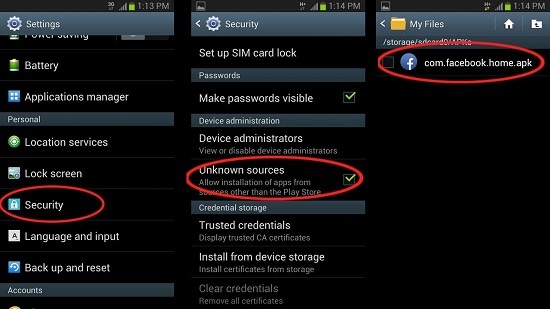 If you are an owner of Smartphones like HTC First, HTC One X, HTC One X+, Samsung Galaxy S III and Samsung Galaxy Note II and if Facebook App is already installed in your phone then you will get a prompt to install FAcebook Home. 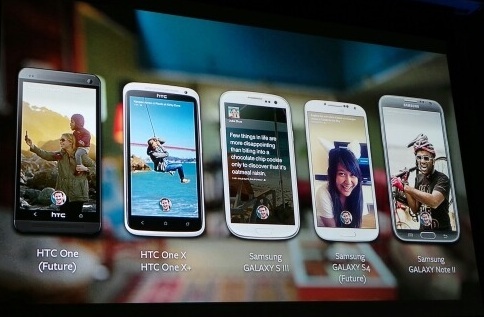 In case of HTC First, since it is a new release, it will come with Facebook Home pre installed in it. And if you own one of these phones and don’t have Facebook App installed, you might visit Google Play store to get it. Despite of the mind blasting features proffered by Facebook Home, Tech Entice strictly advises its readers to install it if and only if they are complete Facebook Freaks and are ready to take the little troubles accompanied with it while using the phone for its general purpose. Sometimes when you really need to call someone, a facebook update from a friend might coincide with the keypad and force you to get over with the facebook status first and then make the call. 2. On extracting the zipped file you will find two Android Package Kits (APK). a) com.facebook.katana.apk which is the main Facebook App and b) com.facebook.home.apk which is the Facebook Home launcher. 3. 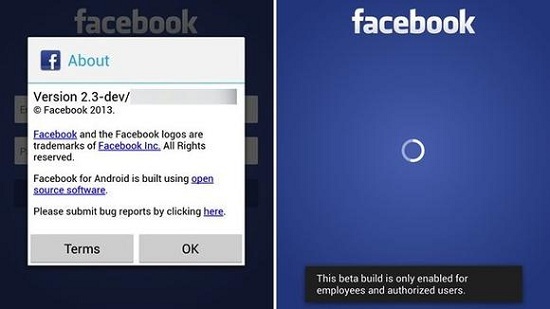 Uninstall Facebook App if it is already installed in your smartphone. 4. Get the two APKs on your phone via email, cloud, wifi etc. The steps above have worked for Google Nexus 7 and a Samsung Galaxy S II and hopefully it must work for any other Android version as well. Basically Facebook Home is for the ones who use a Smartphone mainly so that they can access Facebook easily. Now they won’t have to constantly dig into the FAcebook App to keep a watch on their friends’ updates and Facebook itself will be at their service 24×7 instead. Facebook Home is a smart way of sneaking into the lives of people and making them even more addicted to it. Ask for it or not, Facebook Home will always make its presence felt. How to assign Static IP in windows 7?